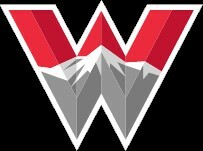 Thank you for completing this request for disability accommodations at Western State Colorado University. The information provided within this request will be kept confidential and will be used in consideration for eligibility to receive academic and/or housing accommodations. If you have any questions or concerns regarding this form or if you wish to complete a paper copy, please contact the Disability Services Coordinator by calling 970-943-7056 or by coming to Disability Services located within the Academic Resource Center in Taylor Hall 302. We can also be reached via email at disability@western.edu. 1. Today's date (please use the following format: 06/11/2018) *This question is required. This question requires a valid date format of MM/DD/YYYY. 5. Western Student ID Number *This question is required. 6. Western email. *This question is required. All email correspondence between disability services and the student will be conducted via Western email only. You will be encouraged to check your Western email account on a daily basis, even during school breaks. If you are unable to access your Western email account, you should contact IT services by calling 970-943-3333. IT Services is located in Taylor Hall 125. This question requires a valid email address. 7. Cell phone number (please include area code). This question requires a valid number format. 8. Land line phone number (please include area code).